A hands-on way for students to practice plotting ordered pairs and reflections on the coordinate grid before answering questions about the pairs. 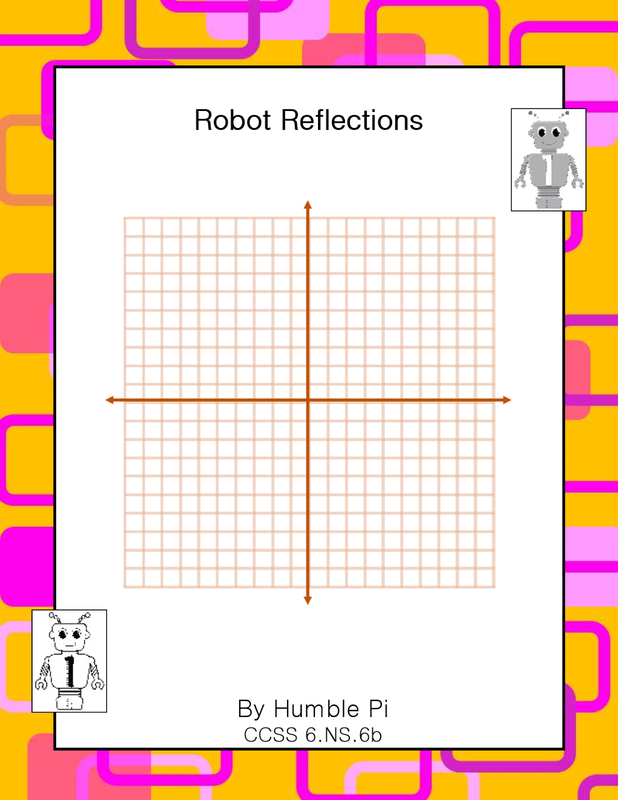 Students cut and paste the robots into place, and the final task asks them to create their own reflection on a grid. This product now includes an additional practice page and Exit Ticket. Aligned to CCSS 6.NS.6b, but great for 7th and 8th grade review, too. Answer keys included.